The USA is one of the best countries for all the international candidates, there are many career opportunities that are available in the USA for international candidates. Students in the USA who are on F1 Visa are easily applying for a working visa and get hired in the USA with H1B Visa. But before that, the candidates who are on an f1 visa have to understand how the immigration law is in the USA for international candidates. 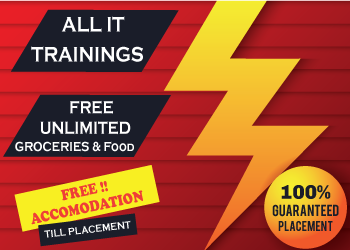 During the time when candidates are studying, they can join jobs with CPT/OPT Program. International students have the benefit of working on CPT which has to be directly related to their core subjects while OPT is a 12 month work authorization provided to international students related to their field of study. To be eligible for the OPT; the students must be pursuing the studies for at least one year in the USA. After the completion of the full OPT period, the students are not eligible to apply for the CPT. OPT STEM extensions allowed international students with STEM degrees to stay in the USA for as much as three years after graduating from college. Foreign students use the OPT status to either look for jobs or apply for further education or simply float around till the OPT term expires. OPT extension to H-1B transfer would also not be the first choice for the OPT holders as the reforms for H-1B is more than OPT and Trump has a strong stance over H-1B visa abuse. So if you are going for STEM Opt Extension than read the following process to successfully get you the STEM Opt Extension. An F-1 student can apply for the initial OPT period up to 90 days before and 60 days after the completion of his/her study. A denial of the OPT application prior to the completion of study would normally allow the student to use the full 60-day grace period after the program completion date. If USCIS denies the OPT application of candidates after the completion of their studying period, but before the 60-day post-completion period end date, the student would have a new period of 60 days in valid F-1 status from the date of the decision. However, if the initial OPT is denied after the regular 60-day grace period, there is no additional grace period. After the new STEM OPT Extension rules were introduced in 2016, various changes have been introduced in its criteria. STEM OPT is another name for a permitted extended period including the original 12 months temporary work authorization. This program allows for practical work experience in designated degree programs. The earlier rule allowed for a maximum of 29 months (12 months of “Regular” OPT plus a 17-month extension). On March 11, 2016, the 17-month STEM OPT extension was replaced and the 24month extension was introduced for STEM OPT students. The new OPT allows for a maximum of 36 months (12 months of “Regular” OPT plus a 24-month extension). Candidate must be able to complete the I-983 Training Plan with your employee. 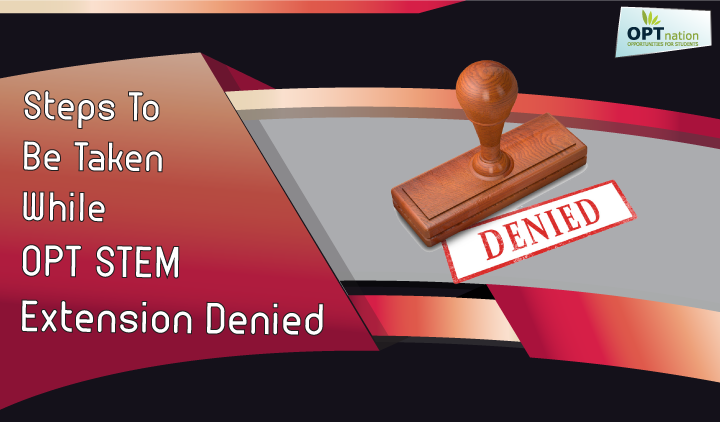 What you can do if your OPT Extension was denied? Depart the U.S. Once you leave the U.S. (including trips to Canada and Mexico) after completing your studies and OPT period, you are not eligible to re-enter with your current I-20. The grace period is meant for travel within the states and preparation to depart the U.S.
Re-enroll in your school and request a new I-20 for a new degree program. Note: This does NOT apply if you do not complete your educational program or if you leave without graduating, you do not receive a any grace period for your STEM Opt Extension. Can Candidates apply for H1B if his/her OPT is denied? Yes, if the candidate’s status is valid until the H1B start date, then he/she can apply for H1B Visa and join H1B Jobs in the USA.